From durable designs to comprehensive parental control systems, kids tablets are marketed as a safer way to introduce kids to technology. Reviews show that the Amazon Fire 8 Kids Edition is one of the most versatile options. But what do other options bring to the table? And how do you know which ones are the best? Choosing a tablet is tricky, but when it comes to kids tablets the best model is one that offers all the options a parent might want for their child and does so at a very attractive price. We’ve rounded up 5 best kids tablets that reviewers feel offer exceptional value. Amazon's Fire 8 Kids Edition offers a complete package at one of the lowest prices around for a "name brand" tablet. It includes a soft case that protects the screen from cracks, edges from impacts, and gives the whole tablet a more reassuring grip in smaller hands. If the protector should fail to keep the tablet running, Amazon will also replace it no-questions-asked for 2 years after the purchase date. By default, the tablet uses a customized version of Android providing an easier way to access apps, games, and media. There is also the FreeTime interface used on kids profiles. This interface makes it simple to browse any apps, games, or other content you want your kids to access. All of this is also controlled by an in-depth parental controls system that allows you to set limits on everything from spending to screen time and give your kids as much -- or as little -- freedom as you want them to have with their tablet. You'll need to use the Amazon App Store to add things to the tablet. This is kind of a mixed bag. On one hand, it has the majority of the popular apps covered and good prices on games for kids. On the other, there are apps on Google Play and the iTunes App Store you won't find on Amazon's App Store. While the Kindle Fire 7 Kids Edition is technically cheaper -- and offers many of the same parental control and replacement perks as the larger 8 Kids Edition -- the performance on it falls far behind the larger option. We recommend avoiding it if you have any extra room in your budget to go for the 8. The Kindle Fire 8 Kids Edition has a 4-star rating on Amazon with more than 1,000 customer reviews. Reviewers find the Kindle Fire 8 Kids Edition a perfect balance of price and performance for most children and pre-teens. They also like the parental controls on offer and the two-year accidental damage protection. Laptop Magazine writes, "With its durable chassis, powerful parental controls and rich content library, the Amazon Fire HD 8 Kids Edition is the children's tablet to beat." TrustedReviews was also pleased, saying, "The HD 8 Kids Edition is a really great tablet for children, combining a decent screen size and drop-proof design with a slick UI and tons of truly excellent content." If you're looking for a budget-friendly tablet option for younger kids, the Fire 8 Kids Edition offers everything you need in one affordable, convenient package. Kurio offers a full lineup of kid-centric devices with the Xtreme 2 tablet sitting at the top of their selection. It's thinner and sleeker than the competing Amazon Fire 7 and 8 while still retaining a fairly kid-friendly design. There's not quite as much screen protection as other kid tablet models, but otherwise, the included bumper case should help avoid any issues with the occasional drop or ding. With access to the entire Google Play app selection, you'll find endless options for keeping the kids entertained. There's also support for the full range of streaming services and such you'd find on a typical tablet for adults. Kurio includes more than 60 of their own apps geared to education and entertainment to get you started. There is also a range of parental control features to ensure little eyes are kept safe from the seedier parts of the Internet or other content you deem inappropriate. Setting the controls is as simple as entering your child's age. Kurio will establish a preset collection of apps, websites, and other content available that you can then tweak to your liking. Category filters and a fun, colorful interface makes the tablet easy to use for kids as well. 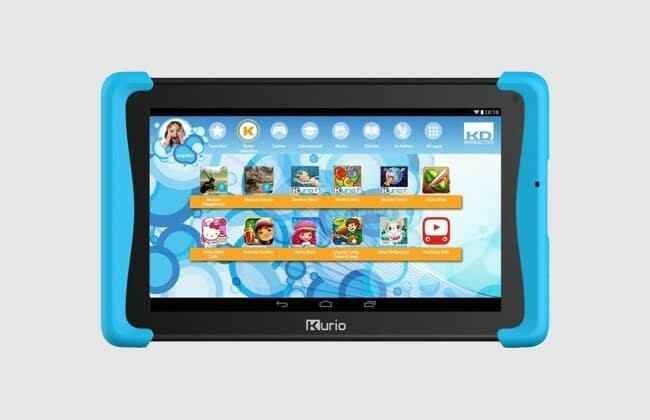 Reviewers found the Kurio a solid option if you're looking for a tablet for kids with full Google Play support. Price was the biggest question for most. PC Magazine notes, "The Xtreme 2 is a mobile gaming and education platform for children, with good parental controls and lots of useful preinstalled software. It's a good choice for children, and a gift you can feel pretty good about giving." Reviews on Amazon note that some parents had issues with the charging port over time. So, if you're dealing with smaller children, you might want to leave charging to the grown-ups. While the tablet isn't the cheapest option for kids, it offers the freedom of full Google Play access in a kid-friendly design that will withstand a few drops. The LeapFrog Epic offers a compelling tablet option that will keep younger minds content without all of the distraction and options of a legitimate tablet. While the software is powered by Android, app options are limited to those created by LeapFrog. This makes it a bit more like a portable gaming system than a tablet in some ways. However, LeapFrog offers 20 apps out of the box with more available for purchase online directly through LeapFrog. Options include a range of educational games as well as basic lifestyle features such as weather, time, and alarm clocks. Reviewers found the LeapFrog an interesting option for younger kids who might not need a full-fledged tablet but want to play games or watch videos like their parents or older siblings. Laptop Magazine said, "...the Epic's uniquely immersive UI, which looks like a cartoon show, makes it worth considering." Digital Trends declared, "Engaging software that’s thoughtfully designed is really the big selling point here, and the fact that my kids still wanted to use it, even with access to better and more familiar hardware is [a] testament to the quality of the experience." Ultimately, pricing posed the biggest question for most reviewers. The tablet itself is already more expensive than budget-conscious options -- such as the Kindle Fire 8 Kids Edition mentioned above -- and the apps themselves are also more expensive. But if you're looking for something that is more education than entertainment, the price is likely worth it. 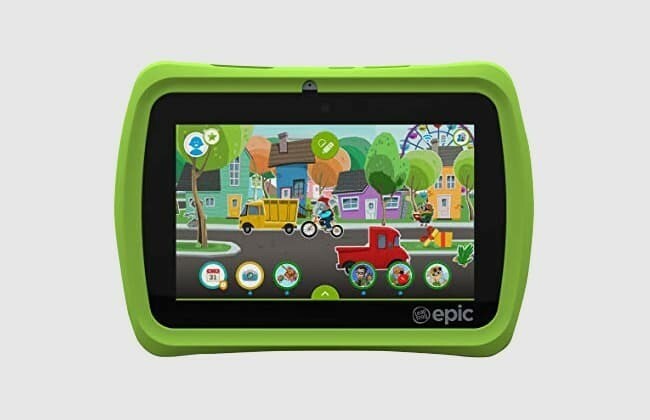 Featuring excellent parental controls, a range of pre-installed apps, and a fun, rugged design, the LeapFrog Epic is an excellent alternative to traditional tablets aimed squarely at the youngest age brackets. We'd argue that the iPad is easily the best tablet for adults in 2019. But for kids, the price might be an issue. That's the only reason it missed an editor's choice pick. With that said, the 9.7-inch iPad offers everything you -- or your kids -- might want in a tablet. There's even support for the Apple Pencil now on the 9.7 so it can be used for work as well as play. The iPad runs circles around every pick on this list in terms of performance and the screen is easily one of the best as well. But it's also the most expensive pick in this roundup. While there are built-in screen time settings and parental controls, the iPad doesn't come with a protective case out of the box. For younger kids, we'd recommend something like the HDE Case on Amazon. For older kids, something a bit more refined like the ProCase can add protection without making the tablet look like a kid's toy. Also, keep in mind that iPads do not allow you to use microSD cards. So if you have room in your budget, upgrading to a variant with more storage might save headaches down the road. Still, 32GB is a good amount of storage for most needs. The iPad 9.7 (2018) currently enjoys a 5-star rating on Amazon with more than 550 reviews. And that's no surprise given Apple pretty much started the tablet market and has remained at the top of the charts ever since. CNet notes, "I can't imagine recommending any other iPad right now over this one. For its price, and its features, this is everything you want in a tablet." Laptop Magazine says, "The new 9.7-inch iPad provides plenty of power, long battery life and Apple Pencil support, all for a fairly affordable price..."
Trusted Reviews declares, "The new iPad is an iPad Pro on a budget. You get many of the same features for a fraction of the price, and that makes it hugely compelling." If you're not worried about price or you're looking for a full-featured tablet for older kids, the iPad 9.7 (2018) is an excellent option -- just consider if you'll need to pick up a case to go with it. With a 10.1-inch display, this tablet is one of the largest in our roundup. Combined with the dual front-facing stereo speakers, the display also makes it one of the best for watching videos, browsing the web, and enjoying media. If your kid can't get enough of their favorite TV shows, movies, or games, this tablet should offer a stellar Android experience. That said, the performance falls behind high-end options such as the Apple iPad so it might not play the latest games on the highest settings. Parental controls are basic. You can filter websites based on age, restrict content based on rating, and manage screen time. But if you want more powerful features, you'll need to look into a separate parental control app. 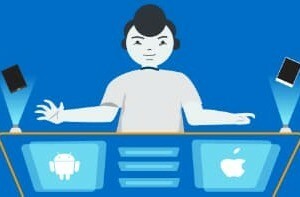 However, the tablet supports multiple profiles. So if you don't need in-depth controls, it's one of the few options on this list that you can tailor to suit each person using the tablet. The Tab 4 10 enjoys a 4-star rating on Amazon with nearly 1,200 reviews. Notebook Check put the tablet through its paces and said, "There are many reasons to decide to choose the Lenovo Tab 4 10: the good accessory options, multiple user accounts, the large battery, and the performance typical for the price class. The tablet does well in many areas." CNet calls the tablet "a good option for an affordable, big screen tablet that doesn’t feel too cheap." Laptop Magazine gave the tablet similar praise, saying, "With all-day endurance, solid performance and the latest Android OS, the Tab 4 is a great value for a 10-inch tablet." The Lenovo Tab 4 10 offers an excellent balance of price and features perfect for older kids looking for their first tablet or something cheap to use in school. With its ultra-affordable price, easy access to a wealth of kid-friendly services, durable design, and excellent replacement warranty, the Fire 8 HD Kids Edition takes our pick for best kids tablet of 2019. It might not be the most powerful tablet around, but the free replacements alone make it a worthwhile value to those with younger kids. Older kids will still find the tablet more than capable of streaming video and music or playing games. Round it all off with excellent parental controls, multiple profile support, and a basic but sturdy design and you have a kids tablet that checks all the boxes for most buyers. The picks in this roundup are what we consider the top kids tablets in 2019 for most people. We selected these services based on analysis of expert reviews from around the web, user feedback on sites like the Google Play Store and TrustPilot, forum comments on our site, social media discussions, and more. The Internet is awesome... but that doesn't mean you want your kids having unfiltered access to it. And while games are fun, you probably don't want your kids playing for 12 hours a day either. All of our picks include a range of parental control features -- ranging from basic restrictions to full-featured monitoring suites -- to give you a range of options in how to manage your child's tablet usage. If you ask most kids, they'd probably want the latest and greatest tablet on the market. But let's face it... buying a high-end tablet is an expensive gamble when you're handing it to your kids. We picked tablets for our roundup that offer a range of prices to provide multiple options -- and easy replacement should accidents happen. If you spend more time fixing your kid's tablet than they do using it, you're going to get frustrated very quickly. We chose tablets for this round-up that have a proven record of solid performance. This means they should work well out of the box and age gracefully. There is no shortage of cheap kids tablet options on the Internet. We sorted through the best to bring you a collection of tablets that reviewers all agree are well made and offer a good user experience -- for both parents and kids alike. If something goes wrong, kids don't want to wait on hold any more than you do. All of the picks on our list are from companies that offer fast, reliable phone support to get you back up and running quickly and keep the kids happy. We compared the things most people consider when choosing a tablet designed for kids. Does a Kids Tablet Stop My Child From Making Purchases? This will depend on the settings on the tablet you buy. Most kid-centric tablets feature some form of basic protections you'll need to configure when you're setting up the tablet for the first time. Be sure to check out any settings and set passwords or PINs where needed to lock down features or content you don't want your kids using before handing it over to understand how the controls work. Do Kids Tablets Filter Website Content? This will depend on the tablet you purchase. Many tablets allow you to either set a list of blocked sites or allowed sites depending on how you wish to limit access. If you're looking for more comprehensive screening of site options, consider this list of kid-safe browsers and search sites from Common Sense Media. By setting one of these as the default browser or home page on the mobile browser you choose, you can limit the chances of undesirable content showing up in searches or web browsing. Can My Kids Share a Tablet? Many Android tablets support multiple users. This makes it simple to set up profiles with different games, content, or parental control settings based on the interests of each child and any restrictions you might feel are appropriate. Unfortunately, iPads are designed to have a single user. So while your children could still share a single iPad, you'll have one set of apps, accounts, and parental controls. Can My Kids Use Their Tablet While Traveling? 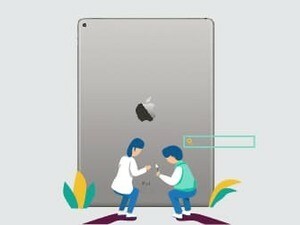 Most kids tablets are Wi-Fi only to reduce worries about data overages and keep tablet costs low. So if you do not have Wi-Fi access in the plane or cruising down the highway to grandma's house, their favorite apps might not load. Check any apps your kids might want to use on the go and see if they work. Apps that don't require online access or display ads might run fine with no Wi-Fi or data access. Many popular streaming apps -- such as Netflix and Spotify -- also allow you to download files for offline viewing or listening. If the kids' favorite apps require an Internet connection -- and your cell phone and cell phone plan support tethering -- you could always use your phone as a Wi-Fi hot spot to provide online access to your kids while on the go. Just be sure to keep an eye on their usage if you have metered data. If they install a ton of apps while you're cruising down the road, you could be in for a big surprise when the bill rolls in. Do My Kids Really Need a Tablet? This is something we cannot answer. Many people worry about the impact of screen time on children while others are content to let their kids use their tablets, game consoles, and other technology from sunrise to sunset. That doesn't account for the unique aspects of each kid. What might be right for our kids might not be ideal for yours. We think the best approach is to consider what you're comfortable with and go from there. If you decide that the best tablet for your kids is none at all, there is nothing wrong with that. that your data stays safe and hidden from prying eyes. Ready to get your kid their first tablet? Set ground rules and expectations, monitor their usage, and be ready to answer any questions they might have. While we feel our picks offer a great experience for most kids, there's not a single pick that will be perfect for everyone. If you have a major electronics retailer in your area, there's a good chance you will find a few of our picks on display. Don't hesitate to make a trip over and check out display models to get an idea of how these tablets work and what might be a better fit for your kid. Looking for a more in-depth look at what to consider when comparing options? Our tablet buyer's guide covers everything you should consider -- including common questions from community members. If you don't see an option you like in this list, you can also use our tablet comparison tool to highlight more options based on features, price, and more. iPad vs Android Tablets: Which to Choose?